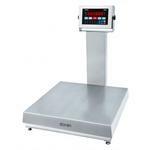 Scales for industrial use from the world's leading manufacturers - Ohaus, Tanita, Chatillon Ametek, CAS . We have digital Indicators and bench scales for shipping, warehouse, and more, electronic and mechanical toploading scales for general weighing, analyticals and parts counting scales, and digital industrial crane scales for super heavy loads. 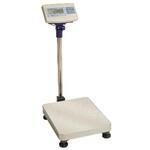 Here is a selection of the Top selling Industrial Scales. 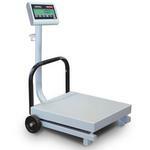 Bench Scales have many industrial uses. They have many features you should look for in a bench scale before you buy one. Like if the bench scale is Legal for Trade, are you selling anything by the pound you need this feature. What type of Computer Interface do you need? RS-232, USB, WiFi, BlueTooth, RS-485, 4-20mA, Fiber Optic ... Do you want to connect a printer? 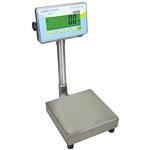 Some Industrial Bench Scales are Washdown with a IP65 or IP67 rating. Some come with counting or CheckWeighing features. 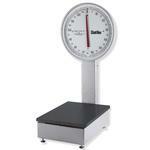 Please let us help you find the best Industrial Scale that fits your needs. Call us at (800)832-0055 or email us with any questions you may have.